Lately it seems as though there's increased talk about 4K gaming, and why not? Monitors and TVs are getting cheaper and cheaper, graphics cards are getting more powerful and home consoles are more powerful than ever. If you're a gamer, it might seem like there are plenty of reasons to take the plunge. In reality, however, 4K's time just hasn't come yet, and is still a good way off. You needn't look any further than either of Mike's recent posts to see how much money you'll be dropping for a PC capable of running 4K games at a respectable frame-rate. We're looking at machines that cost thousands of dollars, and that's without a 4K monitor. To get the best out of your movies as well, you'll likely want a 4K-capable video player, which retails between $600-$700 right now. And if you want a TV instead of a monitor, you'll be looking somewhere in the neighborhood of $3,500. Sure there are TVs out there for far less, but they have a major flaw I'm about to cover. If you're not a PC gamer, you have no reason to upgrade your 1080p set for the foreseeable future. All three current-gen consoles are having a hard enough time getting 1080p video at 60fps, let alone 4K. Even if the big three were capable of 4K video, they all have one major flaw—each console packs an HDMI 1.4 port, meaning if they could push 4K video, they could only do so at 30hz, or half of the standard on most TVs and one-eighth of what you'll see on a much cheaper, high-end 1080p set. Sure you can make existing games look gorgeous by upscaling them to 4K, but most developers aren't including 4K textures in their games. Just like regular HD before it, the technology isn't ubiquitous enough to merit developers spending time and resources developer better textures and memory management to accommodate a niche market for the time being. 4K is the future of gaming; we will always want our games to look and play as best they can, like most technologies however, early adopter will pay a steep premium to be on the bleeding edge. The truth about 4K is that the only TVs truly worth purchasing are far too expensive for the vast majority of gamers, graphics cards capable of doing it right are similarly out of reach and consoles just plain can't do it yet. When the time is right though, it'll be sweet. 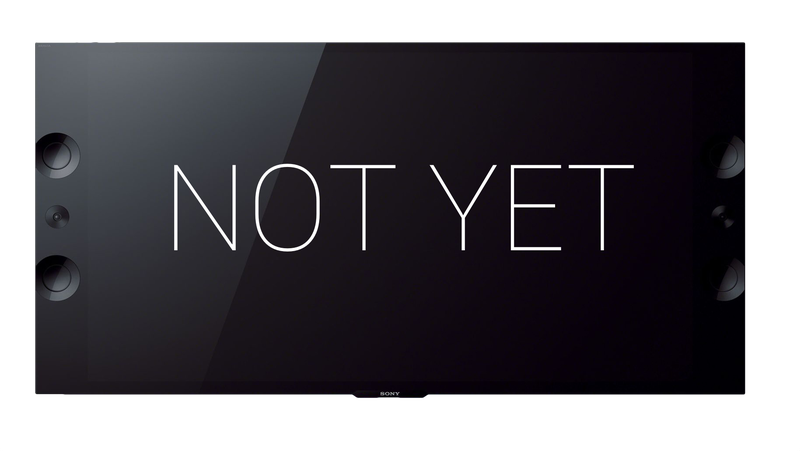 Just not yet.